History - We should start from 1966, when in Toronto, Canada was born a hairless kitten, named Prune. It was crossed with its mother, which produced one more naked kitten. Together with a few naked kittens found later it became the primogenitor of the breed. Grooming and Care - It is not very hard to keep Sphynxs well, but their maintenance is rather unlike to other cats. Sphynxs sweat, their skin secrets oils to nourish the non-existent coat, so they need daily wiping with cloth and frequent bathing. But bathing is not a problem - Sphynxs don't mind it and it very easy to dry them. The ears need to be cleaned weekly. Best Suitable Environment - It would be better to keep them out of draught. Of course, Sphynxs are not supposed to be kept outdoor. Besides temperature extreme, sunbeams are also hazardous for their naked skin. Personality Traits - The personality traits of a Sphynx is very outgoing and caring about their family, but also vain enough to primp themselves regularly. They love to be held and show affection and can be demanding at times. Sphynx Breeders: When choosing a breeder please use your better judgment and please read our valuable reputable breeder tips to guide you in finding your best friend. Please keep in mind that Kitty Cat Breeders does its best to maintain a reputable list of breeders; however we will not be responsible for any of their obligations or duties; buy responsibly. 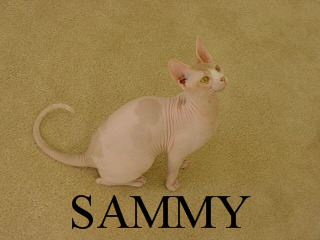 We've been breeding & showing sphynxes since 2003, CFA reg. Grand Champion and imported lines. HCM free, FeLV/FIV neg. Sphynx cattery "Beauty Exotica" from Japan. Sphynx Cat-The most wonderful of the exotic, the most exotic of the wonderful! 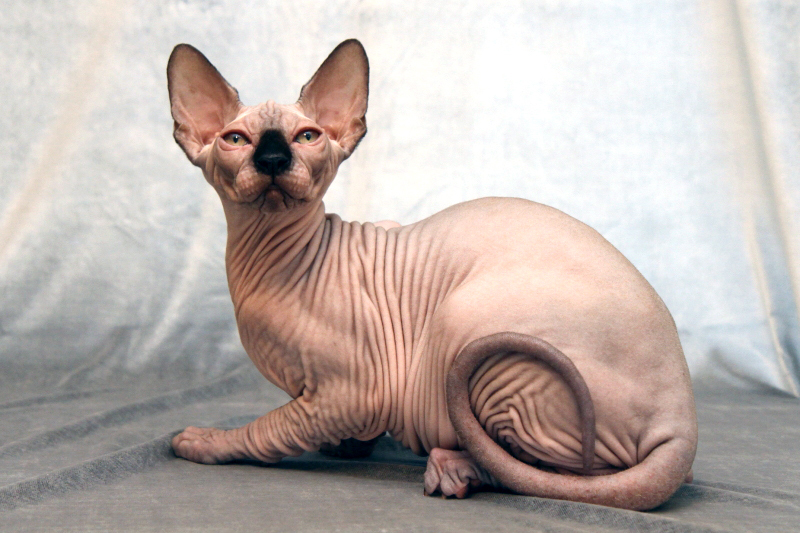 Get acquainted with our sphynxes you can having visited our site. 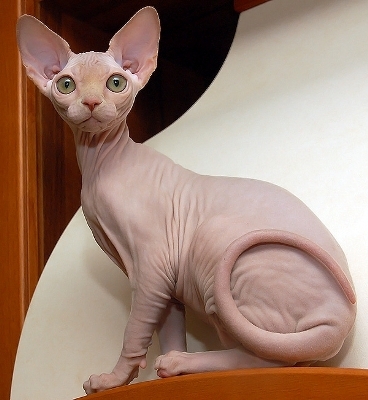 Sphynx Classifieds: Kittens for Sale - When choosing a kitten please use your better judgment and please read our valuable reputable breeder tips to guide you in finding your best friend. Please keep in mind that Kitty Cat Breeders does its best to maintain a reputable list of breeders; however we will not be responsible for any of their obligations or duties; buy responsibly.